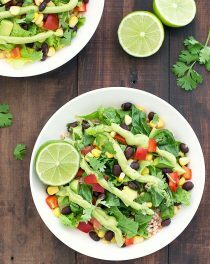 Vegan burrito salad bowls are super colorful, really easy to put together and packed with delicious Mexican flavor. Very little cooking time is needed for this meal. The rice takes about 20 minutes to pull together, then the rest depends on your chopping skills. To assemble the bowls start with some rice then just add the fresh vegetables and beans: romaine lettuce, bell peppers, tomatoes, avocado, corn, black beans, cilantro. 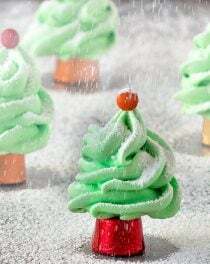 Feel free to incorporate whatever you love and find at your local farmers market, be creative! The finishing touch is a drizzle of creamy and smooth avocado crema, a simple 1 minute blender concoction of avocado, extra virgin olive oil, lime juice, garlic and salt. 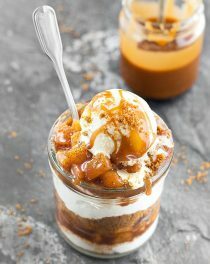 This crema is divine! I used white rice but brown rice, quinoa or spelt would taste great in these as well. The rice is mixed with homemade restaurant-style salsa to give it more flavor. Make the rice in advance, chop all the vegetables and keep everything in the fridge until need it. Chop the avocado just before serving or it will get brown. You will absolutely love the freshness of these tasty vegan burrito salad bowls! In a large pan, cook the rice according to package instructions. To make the avocado crema, simply put all the ingredients in a blender and pulse until smooth and creamy. Add a little water if you want a thinner consistency. When the rice is cool, stir in the salsa and start assembling the bowls. Divide the rice evenly between serving bowls, spreading it out so that it covers the bottom of the bowls. 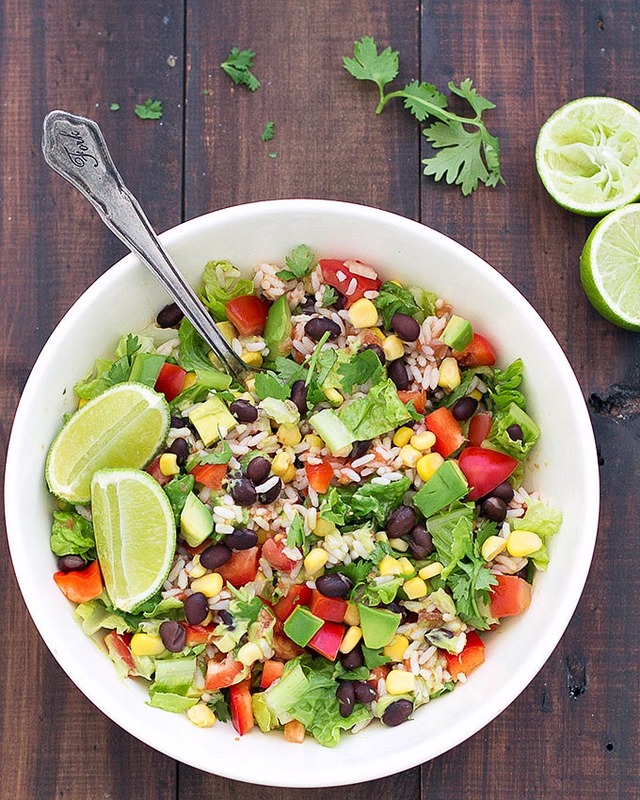 Top the rice with lettuce, corn, black beans, tomatoes, bell pepper, avocado and cilantro. Drizzle with the avocado crema, garnish with a wedge of lime and serve. Um! Looks so good! Love all the colors. This vegan burrito salad is a beautiful idea!